According to an article from the Brennan Center for Justice at the New York University School of Law, the records of more than 70 million people in the United States have been indexed by the FBI’s Interstate Identification Index (III). The III is a database that compiles arrest records and fingerprints across state lines in an effort to identify how many unique individuals who have been arrested throughout the country. This number is surprisingly high and shows a trend that has been rising since the 1960s. Today, nearly one-third of the population will have been arrested at least once by the time they are 23 years old. This number is even higher for both black and white young men. 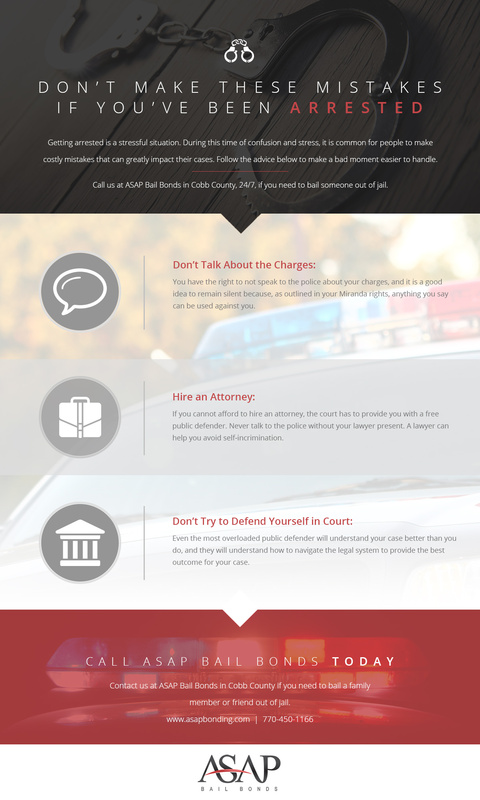 Because being arrested has become so common, ASAP Bail Bonds has decided to offer a few tips to our readers about what to avoid if you have been taken into custody. If you’re in Cobb County and you need help bailing someone out of jail, please give us a call. We’re open 24 hours a day, seven days a week because we understand that people need help at all hours of the day. We offer affordable rates and the absolute best customer service. At ASAP Bail Bonds, we believe in being there for you every step of the way. We are always available to answer questions about your responsibilities while out on bail, as well as what you might be able to expect at your court date. You have the right to remain silent, and you should use that right. Because the police are legally allowed to lie to you in order to get you to confess (as long as their lies don’t turn into coercion), your best bet is to not say anything about what has happened once you have been arrested. In America, you are presumed innocent, which means that you are not guilty of anything until it has been proven in a court of law. Use that to your benefit: it is the job of the police to prove beyond a reasonable doubt that you have committed a crime, and you do not have to help the police do their job. This doesn’t mean that you should refuse to provide factual information like your name. Giving a fake name is itself a crime, so don’t make whatever you are being charged with worse by having additional charges added. If your charges will require you to go to court, get an attorney right away. If you don’t have the money to hire a lawyer, a public defender will be provided to you, free of charge. Even for relatively minor charges, speaking with a lawyer is always a good idea. They will advise you of your rights and the possible outcomes of a trial, and they can help you decide what your next steps should be. Best of all, a lawyer is required to represent your best interests above all else. This means that they will do everything they are legally allowed to do to have the charges reduced or dropped. A lawyer will also help prevent you from making any mistakes that will allow the police or the courts any extra opportunities to convict you. Most experienced defense attorneys hire a lawyer to defend them if they are facing charges, so why would you, as a layperson, think it is a good idea to try to defend yourself? Even if you have a brilliant legal mind, there are just too many pitfalls to representing yourself to make it a good idea. Any lawyer, even the most overworked public defender, will be able to provide you with more sound legal advice and better representation than you can offer yourself. Doesn’t it sound like a good idea to have someone sitting in an interview room or in court who will tell you whether you’re about to answer a trick question or provide the last piece of a puzzle that the police have been unable to put together? Don’t serve yourself up on a platter — get an attorney. 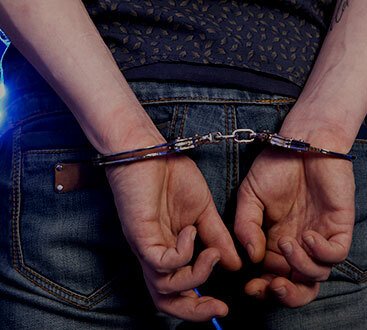 These are just a few situations to avoid after you’ve been arrested. Another mistake you should never make is trusting a bail bond company that isn’t ASAP Bail Bonds. We have the experience and the dedication you need to get you out of jail quickly. We also work with you to help you understand what to expect during your trial. Call us in Cobb County today if you need help bailing out a friend or family member. We also offer a free warrant search that covers the Atlanta area as well as free consultations about our bail bond services. Keep checking our blog for more information about bail bonds and the legal system in Cobb County.